Source: OPTICS EXPRESS Volume: 25(10) Pages: 11855-11866 Published: 2017 . 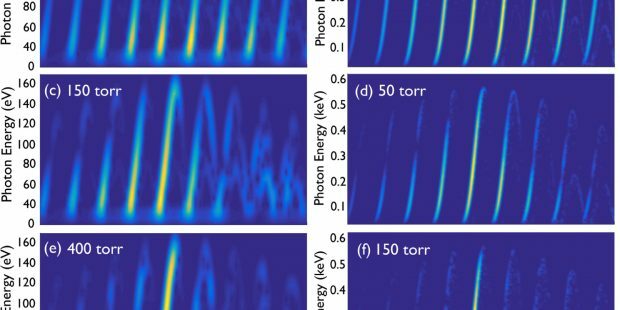 We present a theoretical analysis of the time-gated phase matching (ionization gating) mechanism in high-order harmonic generation for the isolation of attosecond pulses at near-infrared and mid-infrared driver wavelengths, for both few-cycle and multi-cycle driving laser pulses. 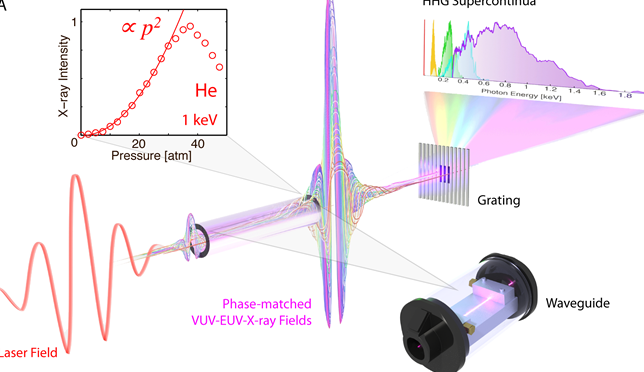 Results of our high harmonic generation and three-dimensional propagation simulations show that broadband isolated pulses spanning from the extreme-ultraviolet well into the soft X-ray region of the spectrum can be generated for both few-cycle and multi-cycle laser pulses. 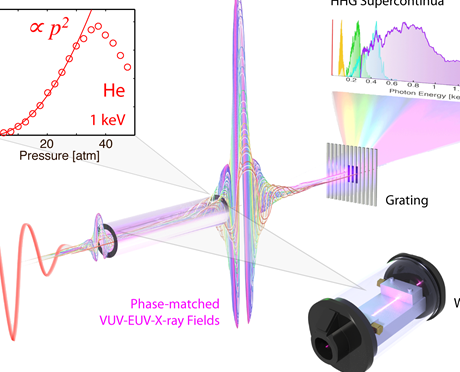 We demonstrate the key role of absorption and group velocity matching for generating bright, isolated, attosecond pulses using long wavelength multi-cycle pulses. Finally, we show that this technique is robust against carrier-envelope phase and peak intensity variations.